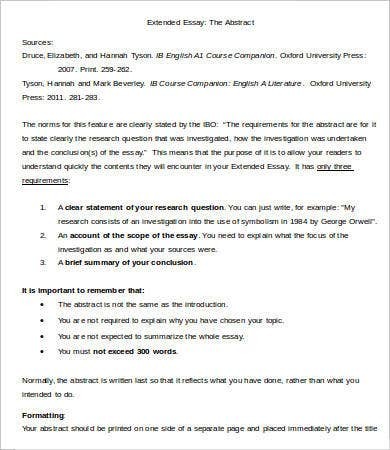 Looking for extended essay templates? You’re on the right page. Extended essays may require a degree of technicality. It can be a hassle and stressful for some. To have a glimpse of such essays, we have an array of templates for you. 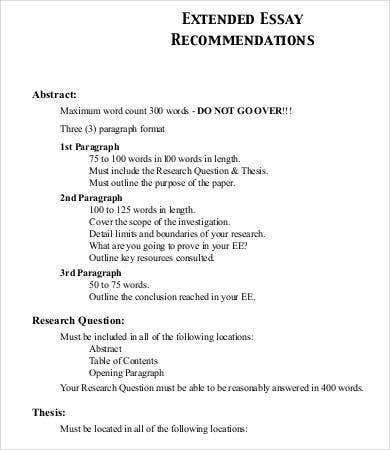 For some, extended essays are likened to a research paper. It is investigatory and requires evidential support. You should not be afraid of extended essays. They are your best friend. 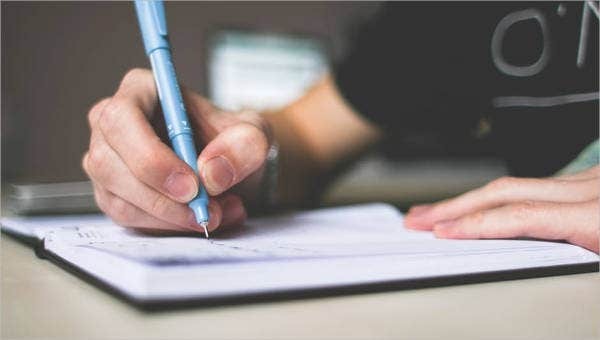 To know more about them, you can start scrolling down and explore our templates and samples regarding extended essays. 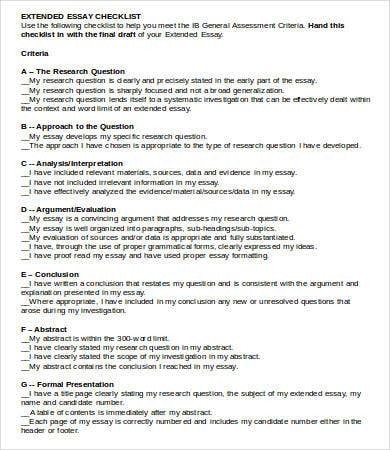 You can also refer to our Essay Outline Templates to give you an idea on how to get started. 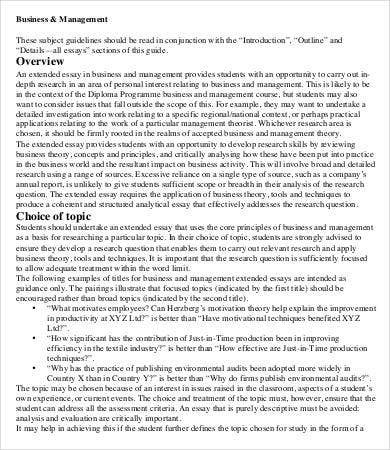 Business and management extended essays. In here, the students are given the opportunity to write potential business plans and tips on how to be effective managers. 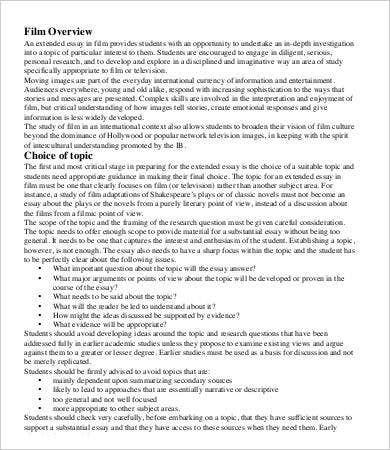 Film extended essays. For students who fancy the film industry or for those who are film enthusiasts, this can be a great topic to dwell on. You can freely explore the bounds and horizon of filmmaking. 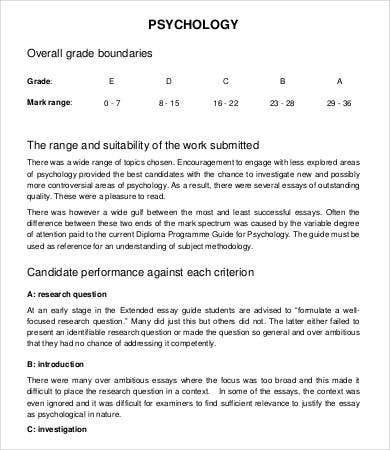 Psychology extended essays. In here the primordial focus is the human mind and behavior. In here, students who are curious and interested on the inner machinations of the human mind can delve more and share their experiences and expertise as well as their thoughts. These are just some of the suggested topics regarding extended essays. Indeed, they can be difficult at a first glance, but our templates can surely be of use to you for reference purposes. You can also refer to our Scholarship Essays, which are also of great quality. 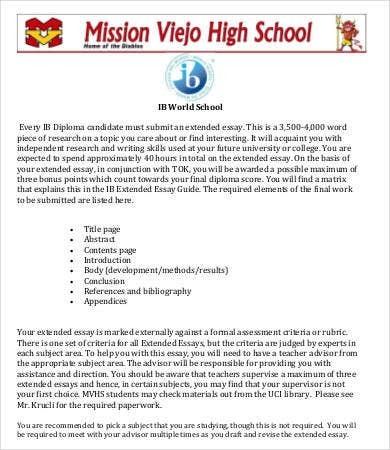 What’s the Purpose Behind an Extended Essay? 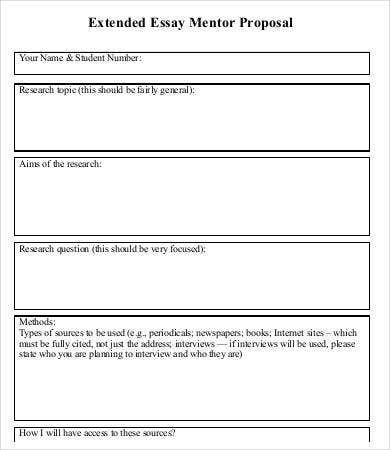 Enables the students to pursue a systematic process of research. In order to excel in an extended essay, the student must strategize in order to comprehensively write a topic. Excitement of intellectual growth. In the course of conducting an investigation and thorough research, the student can discover a lot of things and must have varied realizations and insights. Development of one’s critical and creative thinking. The student’s critical minds will be sharpened because they are not just describing a topic but also laying out evidence and proof to support their claims. These are just some of the purposes behind an extended essay. It is usually about the growth and intellectual development of the student. It aims to foreground the critical and creative minds of the students. Hence, there’s no reason why you should not try our templates. If you’re looking examples for Argumentative Essays for your research paper, you can also check out our templates.